Susan Cain and Sheryl Sandberg on why there’s no contradiction between being quiet and being a great leader. 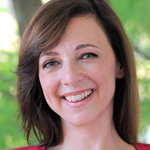 Susan Cain is the author of the New York Times #1 bestseller Quiet: The Power of Introverts in a World That Can’t Stop Talking and is the co-founder of Quiet Revolution, which works to unlock the power of introverts through initiatives in education and the workplace. She recently joined Sheryl Sandberg, the Chief Operating Officer of Facebook and founder of the Lean In Foundation, for a conversation on introversion and leadership. This conversation originally appeared as part of Sheryl Sandberg’s Lean In Live series on Facebook Live. It has been edited and condensed. To view the full conversation, click the video below. Sheryl: You’ve said you have a quiet nature. How do you lean in? And how can all introverts lean in? Susan: Well, the funny thing is, people assume that there’s some contradiction between being quiet and leaning in. In fact, one really has nothing to do with the other. I’ve always been pretty ambitious, I’ve always had pretty big dreams, and it never occurred to me that those two things didn’t go with being quiet. What I believe is that you have to operate in the world out of a sense of true conviction, and if you’re operating from that place, it doesn’t really matter if you’re soft-spoken or more dominant or somewhere in between, it’s really the conviction that’s talking. Sheryl: You’ve said that sometimes people have the wrong idea of what it is to be an introvert and an extrovert. Can you define them? What is an introvert and what is an extrovert? Susan: It has to do with where you get your energy. Introverts tend to feel in more of a sweet spot when they’re in a quieter setting. Extroverts tend to feel more energized when they’re out and about. Many people have heard that before, but what they don’t realize is that it has to do with your nervous system, that we’re wired differently. Introverts have nervous systems that make us react more to stimulation, and that means we like it when it’s quieter. For extroverts, your nervous systems are reacting less and that means if there’s not enough going on, you start to feel kind of sluggish and like you want more to be happening, so your sweet spot is just a little bit more hyped-up environment. Sheryl: Not to stereotype us, but I think if you look at me and Mark Zuckerberg, I’m more of an extrovert and he’s more of an introvert. Even though he’s actually much friendlier than people thought a couple of years ago. I think you can be friendly and be an introvert. Adam Grant, who I write with, told me that introverts don’t like caffeine because they have enough stimulus, but extroverts do. For so many years, I drank all the coffee and Mark didn’t, and it never occurred to me it was the wiring of our brain that was doing that. Susan: Yeah. Well, there’s so many things like that. My husband is an extrovert, and when we’re driving in a car, he’s always turning up the dial on the music and I’m always turning it down. Even though I’ve been researching this stuff for years, it didn’t occur to us for a long time that, oh, this is us being an introvert and extrovert. That minor conflict about how loud the music should be in the car is just one of those things. Sheryl: That’s so interesting because my husband was extroverted, but probably not quite as much as I was, and he always wanted the music louder. Susan: No, no, that they’re extremely illuminating, just the way it’s illuminating to talk about masculinity and femininity, but it doesn’t tell you everything. We’re all much more complex than that. I always say to people, take the illumination as far as it’s helping you, but don’t feel pigeonholed by it. Sheryl: Right, so if you’re an introvert, you can drink as much coffee as you want. If you’re an extrovert, you can turn down the music. Many leaders, from Rosa Parks to Gandhi to Eleanor Roosevelt were successful, not in spite of but because of their introverted nature. Why is that? What did they find from that? Susan: It’s funny. In different circumstances, extroverted leaders deliver better outcomes and in other circumstances it’s introverts. When Gandhi was a child, he used to run home from school as soon as the bell rang because he didn’t want to socialize with his classmates. Even when he was an adult, he never liked to sit in big groups of people. He wasn’t really seeking leadership for its own sake, it was more that he was really committed to this thing, and then other people who are committed to the same cause lined up with him. You often find effective leaders who are introverts who didn’t get there by the desire to be a leader, they just had this passion for something. In the service of that passion, they end up acquiring expertise and building networks and so on, and that is a really authentic path to leadership. Sheryl: You say that workplaces are very much designed for extroverts. Research shows that we think people who speak up more in groups are smarter, even though there’s no correlation. This I’m very familiar with. Research shows that if you send out resumes with a male name and a female name, we think the male is smarter. A white name and a black sounding name, we think the white person is smarter. Unconscious bias—it seems like your research shows that that exists on introversion as well. How do we make sure that we correct for that unconscious bias and how do we make sure that all the voices are heard at work? Susan: One of the things that we talk about at Quiet Revolution when we work with companies on this is that you have to start normalizing this whole discourse; it’s got to be where we get to the point where everybody’s just openly talking about, “Yeah, I’m an introvert, I’m an extrovert, here’s how I prefer to spend my time.” Once you start opening up that discussion within a team, you can start to work out compromises that work for everyone. Sheryl: Bringing it to the surface seems to be the answer. Not pretending these biases don’t exist, but putting them on the table, talking about them. Susan: Yes, and once you do that, then you come up with the mechanisms that are going to work for your team. Maybe you say, okay, when we’re in a meeting, we’re going to pause after every fifteen minutes for five minutes of silence where people can sit and think. That gives everybody a chance to deep think, but it also gives introverts, who really love to process before they share their ideas, the time to do that so their voices get heard. Sheryl: Studies have shown that public speaking is the number one fear in America—not death, not disease, but public speaking. Sheryl: You’ve said that you had to get over a fear of public speaking to give that unbelievable TED talk. How’d you do it, and what advice do you have for people who want to get over it themselves? Susan: If you had told me years ago that I would give a TED talk, get over my fear of public speaking, I would’ve said it was completely impossible. The key is, and this is true of any fear, not just public speaking, that you have to expose yourself to it, to the thing that you fear, in very small bites. You can’t start by giving a TED talk, you have to do it little by little. You practice in environments where the stakes are really low and it doesn’t matter how much you screw up. Little by little, you miraculously do overcome it. Not completely, and it’s okay to have some fear. The issue is how do you get past the crippling fear so that it’s not standing in your way. It turns out that that third group are the ones that can hang out with the spider afterwards. By acknowledging their fear and labeling it, they’re able to. Susan: I’m not surprised, because I do think so much of what gets in the way is the feeling of, “I’m not supposed to be feeling this way.” You’re living in a culture where you’re supposed to just be effortlessly in control all the time. In fact, we’re humans and that’s not our reality. Sheryl: Absolutely. I’ve done a lot of public speaking and I was terrified to get onto that TED stage. Sheryl: Terrified, and then my slides went out so I had to do it from memory. Susan: Oh, my gosh. Your worst nightmare. What advice do you have for parents who are raising introverted kids? How do we help those kids thrive? Susan: There’s so much to say here. Understand that introverted kids tend to have a longer runway that they have to travel down before they take off and fly. What they need to know from you is that it’s okay for them to be on that longer runway. You’re not going to overprotect them, but at the same time, you’re going to give them the extra space that they need. If you have a kid, let’s say, who is afraid of learning how to swim, the answer is maybe we go to the pool late in the day when the pool is pretty quiet, and you’re introducing them to it little by little until they get there. Sheryl: What advice do you have for other women who want to lean in, no matter introvert, extrovert, background, goal? What is your lean in advice? Susan: Know that you’re always going to have to step outside your comfort zone, it’s just part of the deal. At the same time, you want to figure out how to draw on your own strengths so you’re not trying to be somebody else, you’re trying to be you but the best version of you. Also, touching on what we were saying before about fear, there’s this saying that I came across recently, “Don’t let fear become a thief, it will steal so many precious things.” You can’t let fear stand in your way. If you become conscious that there is something you want to do, but fear is snatching it from you, don’t listen. Sheryl: That’s such great advice. Okay, lightning round. Short, fast, fun answers. Dr. Seuss, introvert or extrovert? Sheryl: Introversion and shyness are the same thing or not the same thing? Susan: Not the same thing. Shyness is much more about the fear of social judgement and introversion is more simply about the preference for quieter settings. Sheryl: True or false, the United States is one of the most extroverted nations in the world? Sheryl: Harry Potter, E.T., and Charlie Brown were all created by introverts? Sheryl: Maybe because they’re burning off all the coffee. Introverts commit more crimes? Sheryl: Okay, last question. Is there such thing as a hundred percent extrovert or a pure introvert? Susan: No such thing. Everybody’s a glorious mishmash of both. Carl Jung was the psychologist who popularized these terms in the 1920s and he said there’s no such thing as a pure introvert or a pure extrovert. He said such a man would be in a lunatic asylum.